In the early 1980's I moved to an empty large building at the corner of 1st and Cedar. It was a heady time for me and a magical moment in a place: where it is empty and quiet and full of potential. We worked around the clock and partied all the time. We committed to a life of making art and being part of the bohemian alternative to the status quo. 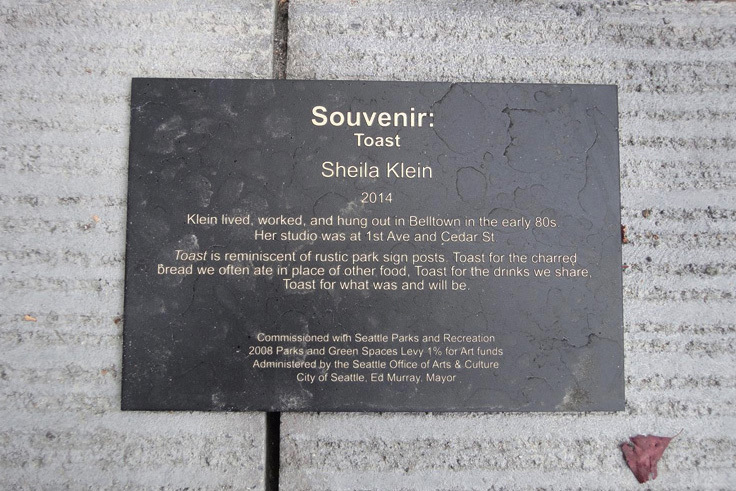 Belltown was inhabited by many visual artists, writers, musicians, dreamers, designers and other creative types eating toast on the side walk sharing with the Indians, longshoremen, loggers, electricians drinking in the union bars, dancing in the gay night club, and reinforcing the idea that we were a community. My work has often served to domesticate the street and making it a place you want to be. These signposts are my physical love letter to the neighborhood. 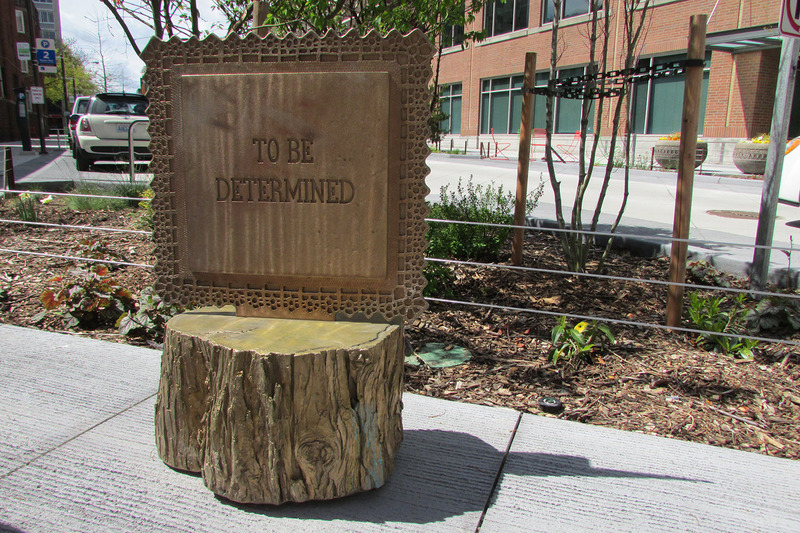 With a domestic edict, the piece comprises four bronze sculptures: one per block. These discreet pieces have an interesting relationship to the other typical streetscape elements because they will occupy similar spaces but operate in a poetic zone. The intimate sculptures are a combination of cast and fabricated parts. 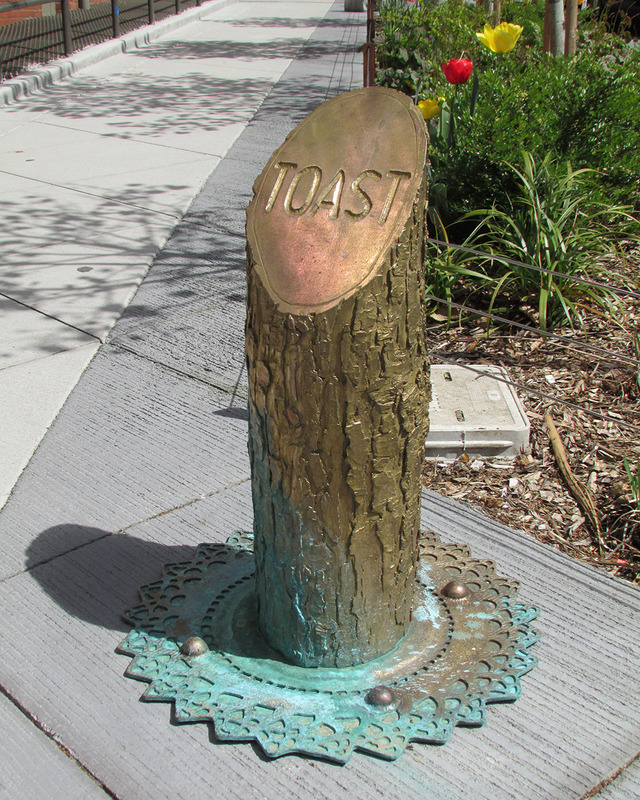 Toast is a cast log with a slanted face reminiscent of rustic park sign posts. Toast for the charred bread we often ate in place of other food, Toast for the drinks we shared and will be shared, Toast for what was and will be. 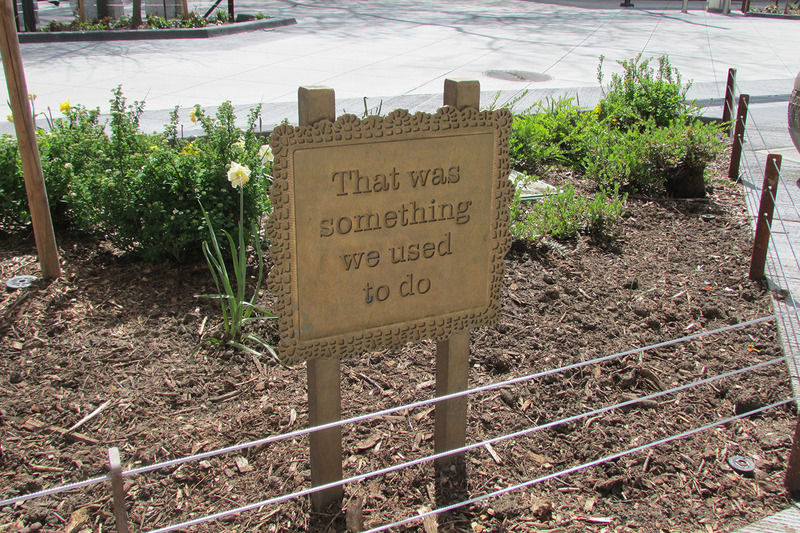 That was something we used to do takes its form from an ornate keep off the grass sign. This was an expression a friend used to remind us that we were on a path that had a past and a future. 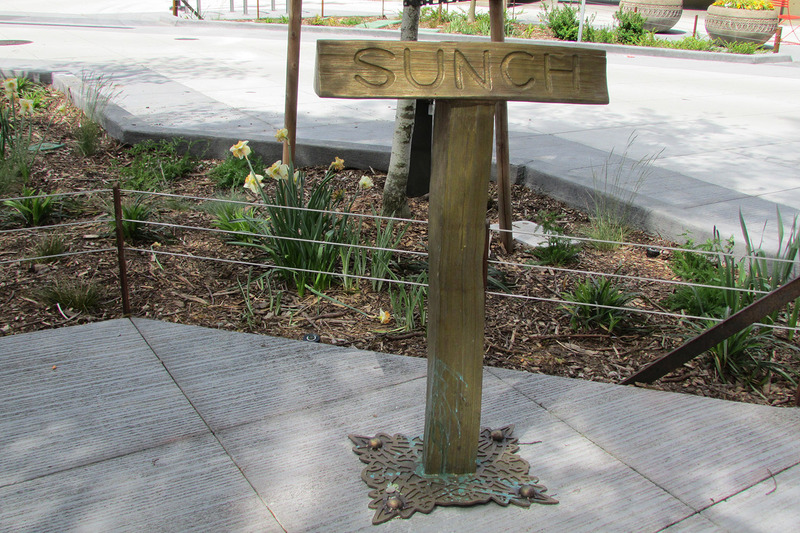 Sunch is a kind of hitching post or directional marker. The word Sunch is derived from lunch and supper. Sunch is a meal that was neither lunch nor supper but occurs instead of or in between. To be determined relates in form to a home sweet home plaque. It references the poetics of change and the unknown. The idea is engagement--to see something that is friendly, interesting and different and ask hmm what is that? Themes of Northwest materials, historicism, handicrafts and carving, crochet and things honed and hewn are threaded through these pieces. The execution of these pieces will exceed all standards for firmitas unitas and venustas or beauty durable and appropriate. The possibility that these will spark new ideas about what these things are and everyone can embroider their idea on them. They are meant to be quirky and harkens back to the bohemian itinerant nature of the neighborhood history. The piece has a natural patina.